As difficult as the last six years have been for business and general aviation — excluding heavy iron — the larger community can take some comfort in the knowledge that market conditions eventually will markedly improve. Mind you, it may take longer for all segments to return to pre-2008 levels than OEMs and their suppliers would like. But better days are ahead. In the past several decades, the number of private and recreational pilots across the country has plummeted, as has the number of small aircraft being manufactured — trends that some say have been accelerated by increasingly strict federal regulations. If the decline continues, it will spell trouble for entrepreneurs such as Austin Heffernan, who runs an aircraft maintenance and repair company in Hagerstown, Md. If Wichita, Kan., has any type of flight festival in 2014, it could be put on by Wichita Festivals Inc., the same group responsible for running the Wichita River Festival, say representatives from both the city and the festival. Though nothing has been agreed upon, festival leaders are having "conversations" with city officials about the possibility of the festival putting on some type of aviation-focused event later this year, said both John D'Angelo, manager of the city of Wichita's Arts and Cultural Services Division, and Mary Beth Jarvis, the president and CEO of Wichita Festivals. Reprinted with permission from AirFleet Capital, Inc. Historically, active aircraft owners tend to trade-up to a newer aircraft every three years or so. Today, that trend has shifted and we are seeing owners keep their aircraft longer, likely a result of recent economic conditions and its impact on personal income, net worth and liquidity. The most economical option for some in today's market is to keep their current aircraft, and upgrade some of the components. 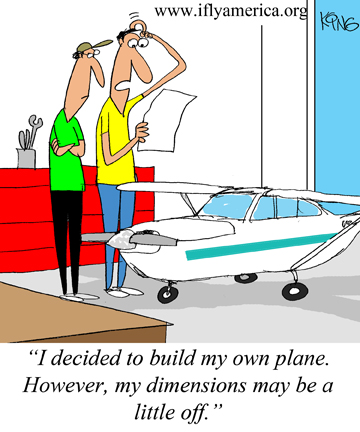 In conjunction with this, we are often asked the question "Can I finance upgrades on my aircraft?" Recent months have brought important anniversaries in the world of aviation. Orville Wright completed the world's first powered flight on Dec. 14, 1903. Debate persists on whether the first "successful" powered flight took place on Dec. 14 or Dec. 17, 1903. Though others disagree, thewrightbrothers.org website recognizes Oct. 14 as the first of the Wright Brother's first five flights. The first commercial flight, from St. Petersburg, Fla., to Tampa, took place in January 1914. The Victoria Flying Club's Second World War-era hangar is getting some sorely-needed repairs. A new roof has been put on the structure, which once acted as the main terminal building at the airport. It was a $125,000 job, says the club's Operations Manager Marcel Poland, but work that was essential in the upkeep of the hangar. Pulsating light bursts into the cockpit of a plane thousands of feet in the air, filling it with seething brightness, and blinding the pilot and copilot. Laser attacks on aircraft occur an average of 11 times a day, the Federal Aviation Administration says. Powerful handheld lasers are affordable and widespread, and some people are making sport of shining them up into passing aircraft. The trend seems to be catching on. There were 3,960 such strikes reported last year, the FAA says. That's up from 283 in 2005. Three area cadets, including one from Westchester, N.Y., Cadet Squadron 1 of the Civil Air Patrol, experienced the thrill of aviation through orientation flights at Westchester County Airport. Each cadet had the opportunity to fly in the front seat of a single-engine Cessna 182 aircraft under the supervision of an experienced CAP pilot. Chris Kirchner has spent the last decade painstakingly restoring the single-engine Curtiss P-40 Warhawk fighter aircraft nicknamed "Bonnie Kaye," which crashed during World War II. The aircraft is 95 percent finished and sits in the hangar adjacent to Kirchner's Leeward Air Ranch home, seemingly awaiting its next mission.